Last night at Mohegan Sun Casino in Uncasville, CT, middleweight Peter Manfredo won the vacant IBO belt with a tenth round stoppage of Angel Hernandez. 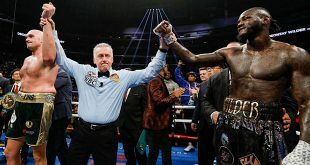 Manfredo was pressed hard in the early rounds by the smaller Hernandez, a former IBF light middleweight title challenger, but the Chicago man couldn't maintain the pace. By the middle rounds, ex-WBO super middle title challenger Manfredo had largely established control, keeping Hernandez at the end of the jab and landing quality shots. 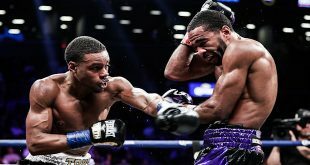 Still, Hernandez kept up the pressure and had his moments, making the bout competitive by sheer will until a Manfredo assault in the 10th forced a stoppage at 1:19 of the frame. Manfredo wins the IBO middleweight title, improving to 35-6 (19), while Hernandez sees a two bout win streak come to a halt, dropping to 30-8 (17). 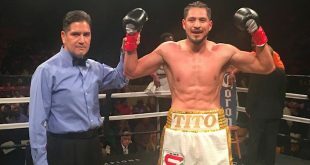 The undercard was headed up by undefeated NABF featherweight champ Matt Remillard, 22-0 (13), who added the NABO crown with a fourth round finishing of Carlos Rivera, 16-5-2 (5). Canadian lightweight prospect Logan McGuinness, 10-0-1 (4), was held to a six round majority draw by seasoned Colombian southpaw Walter Estrada, 35-13-1 (24), who had previously lost five straight bouts. Local light welter Danny O'Connor went to 12-0 (3), with a hard fought six round points verdict over durable Broderick Antoine, 10-10-1 (5), in an all-southpaw clash.